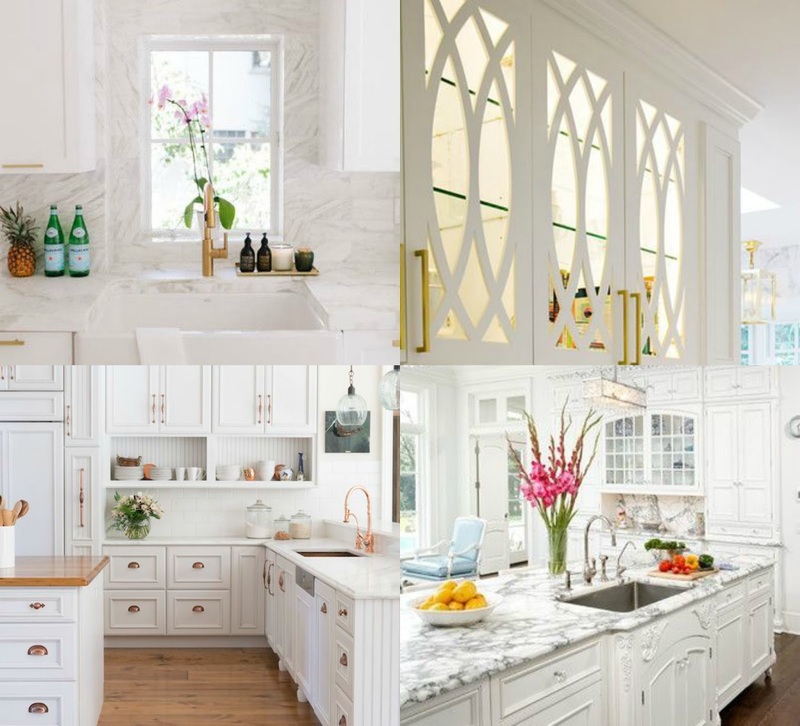 Sharing the inspiration behind our French Modern kitchen remodel! After working with HGTV in documenting and featuring our master bedroom remodel on House Hunters Renovation, we were itching to blast through and redo the rest of the house. The next biggest project was the kitchen. 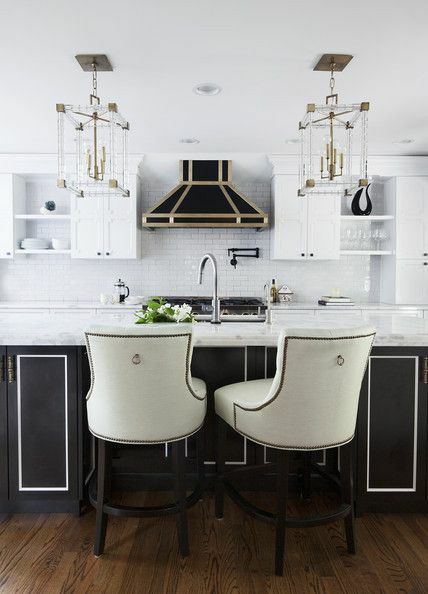 The status quo wasn't dilapidated but it also wasn't ideal as the white cabinets were starting to peel and the tan granite countertop just wasn't my cup of palette. Also, the space awkwardly housed a washer and dryer which seemed so out of place. 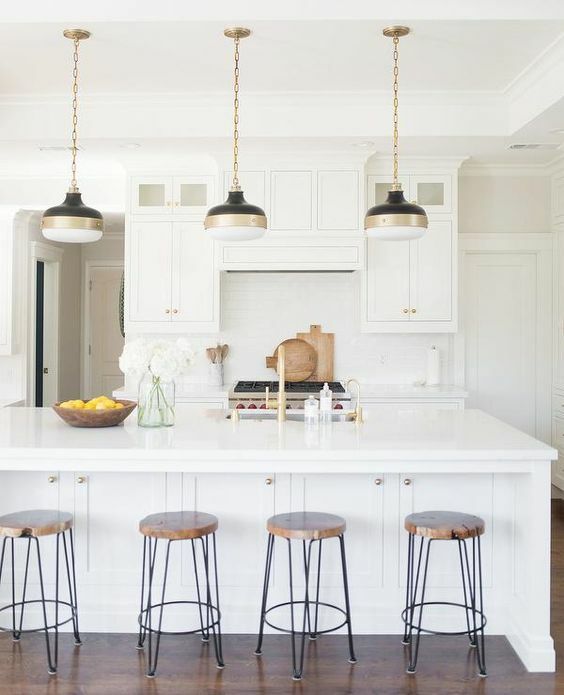 I've always loved the look of an all-white kitchen as there's just something very appealing about cooking in a clean and open space. But white kitchens sometimes run into the risk of looking too boring and sterile so I sought to infuse some brassy personality and French design into it. I used the white as a base color and built black, cool grey, and a touch of brass into the palette. 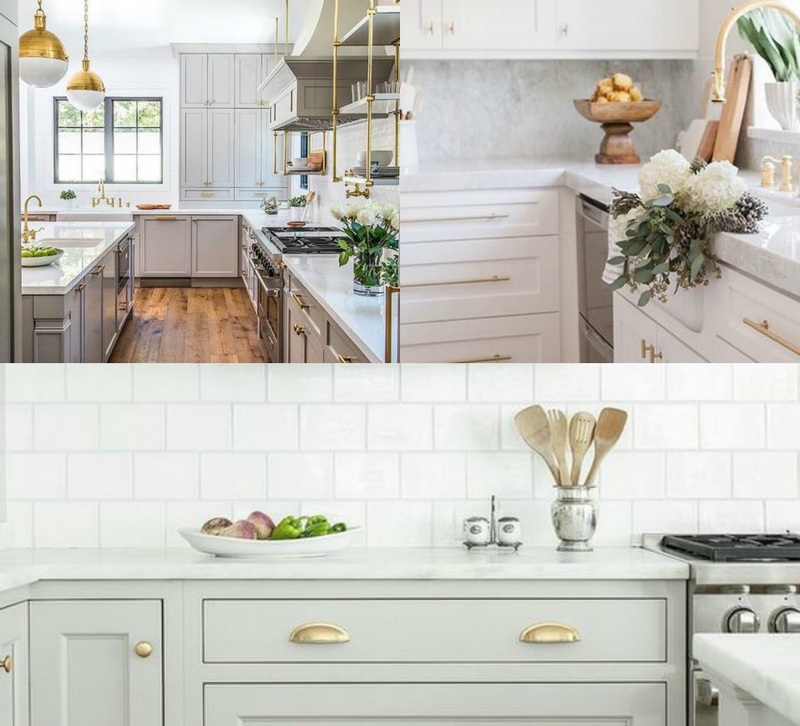 The process required a ton of pining on pinterest and working steadfastly with my Lowe's kitchen designer to come up with a kitchen reno that completely captured my imagination while staying well within budget. 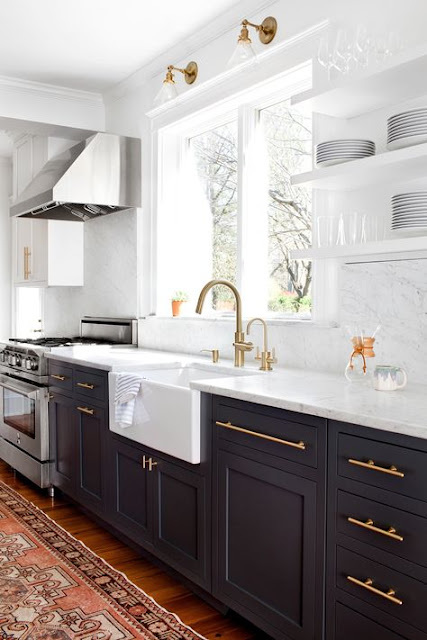 I loved working with the Lowe's team as the store is basically a one-stop shop for kitchen remodels so I didn't have to drive to ten different places to customize my Schuler cabinets or find the perfect Elkay farmhouse sink. 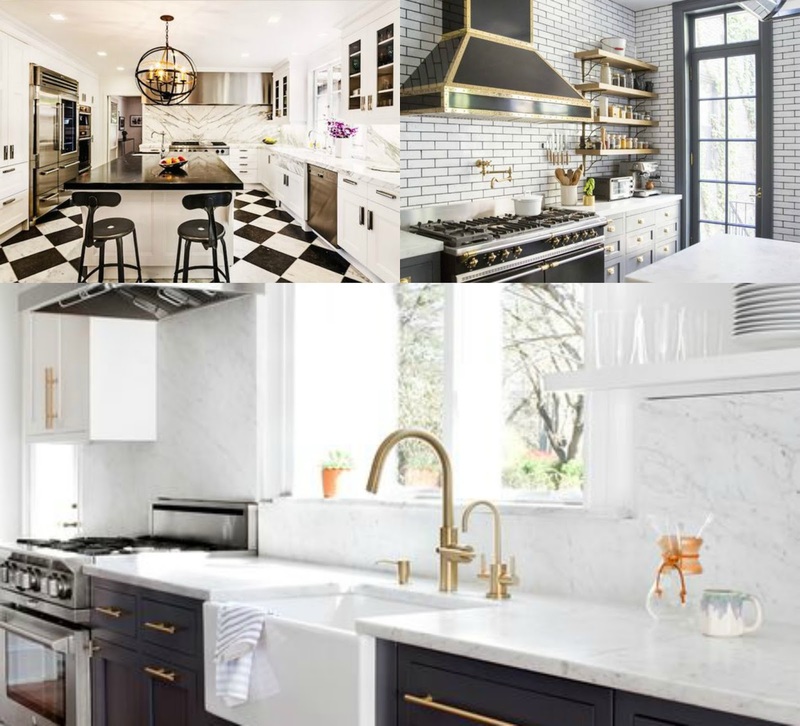 I can't wait to reveal the dramatic before and after photos, but before I do, here are just a few of the beautiful kitchens that served as my inspiration!